Stitches Of The Past: Blog Award! 5. And most of all - have fun! 1. A Most Peculiar Mademoiselle "I am a 28 year old woman, recently married to the love of my life. I am a registered nurse, but before university I worked as a seamstress. 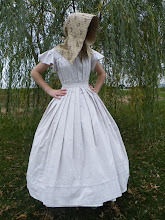 I still sew a lot, mostly historical clothing. Which period I make clothes from varies with my present interest - pretty much everything from viking age to early 20th century. When I don't sew, I read. 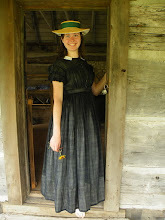 I also enjoy living history and re-enactment, and I am a member of the Church of Jesus Christ of Latter Day Saints. " Sarah posts about all sorts of things is and a fantastic costumer. 2. Dreaming of Avonlea "I'm a nineteen year old Child of the king, Striving whole heartedly to become a proverbs 31 woman, so I may someday run my home in the way God would want me to. I'm an old fashioned person and study my favourite eras with passion, and would completely prefer a horse and carriage over a car. :D" Meggie's blog is full of variety. She posts about sewing, life in the country, etc. 3. Her Heart In History "I am a young wife and mother. I am most passionate about Christ, my family, and my home. I have two blogs. 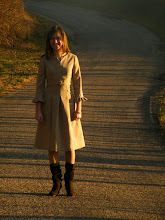 On one, I blog about my passions and interests--including good health through good nutrition (Real Food, including sugar and wheat-free cooking), natural living/being a good stewardess of the earth; on the other I blog about Civil War reenacting and other things that might be of interest in that category." 4. A Lass Of Yesteryear "My name is Tara Janelle. I am 17 years old and am a history fanatic, especially when it comes to clothing. In my leisure time you will find me drumming on the piano, reading a good book, writing letters to my fabulous pen-pals, painting or drawing a mouse in a jacket (I like Beatrix Potter, if you didn't get the hint), singing at the top of my lungs, or sewing a new dress." You're very welcome Brooke! :) You've picked some lovely blogs, I'll have to read more about them. That's very exciting:) Congratulations Brooke!!! CONGRATULATIONS on the award!!!!!! You definably deserve it!!! Keep up the good work!